3 Beds 2 Baths 1,932 Sq. ft. TROPICAL PARADISE! MOVE RIGHT IN! BEAUTIFULLY MAINTAINED AND UPDATED HOME JUST BLOCKS FROM THE BEACH WITH LUSCIOUS LANDSCAPING INCLUDING AN AVOCADO TREE! RICH WOOD FLOORS ENHANCE THE LIVING AND DINING AREAS AS YOU ENTER AND LEAD TO THE OPEN FAMILY ROOM WITH CATHEDRAL CEILING, TILE FLOORS AND A WOOD BURNING FIREPLACE-THIS OPENS TO THE UPDATED KITCHEN WITH TOP OF THE LINE CABINETS AND NEWER APPLIANCES WITH BOTH EATING BAR & BREAKFAST AREA - SCREENED PORCH OVERLOOKS PRIVATE BACKYARD - PLENTY OF ROOM FOR A POOL IF YOU CHOOSE AND INCLUDES A BACK GATE FOR QUICK BEACH ACCESS-THE BEDROOMS ARE ARRANGED IN A SPLIT PATTERN AND THE MASTER FEATURES A ROOMY UPDATED BATH. 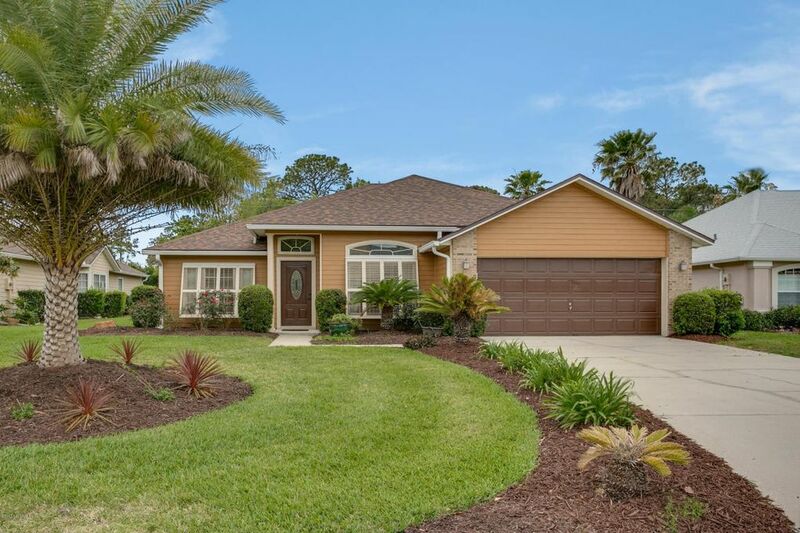 DESIRABLE BEACH COMMUNITY OFFERS POOL, TENNIS AND DOCK.